Transformation is a constant in all successful companies. This is why Esther Weinberg highly recommends us to shift perspectives every once in a while. 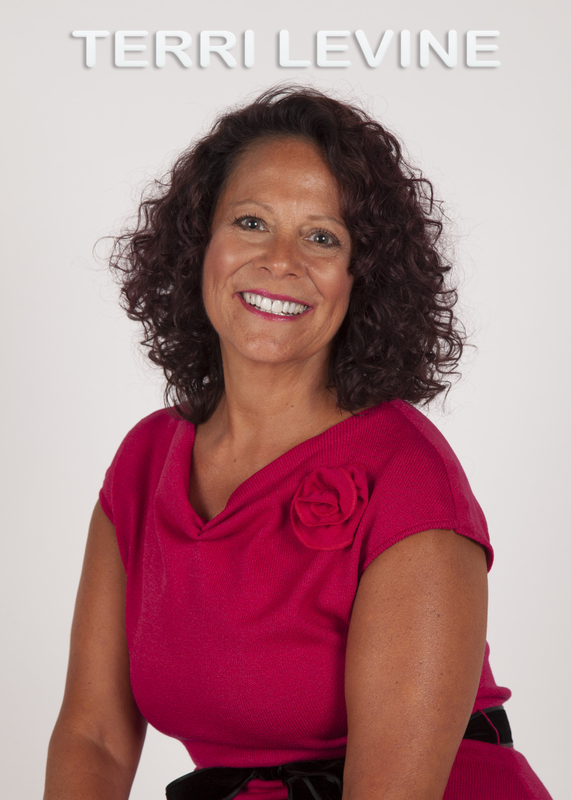 Esther is the founder of the Mind Light Group which specializes in executive leadership training. 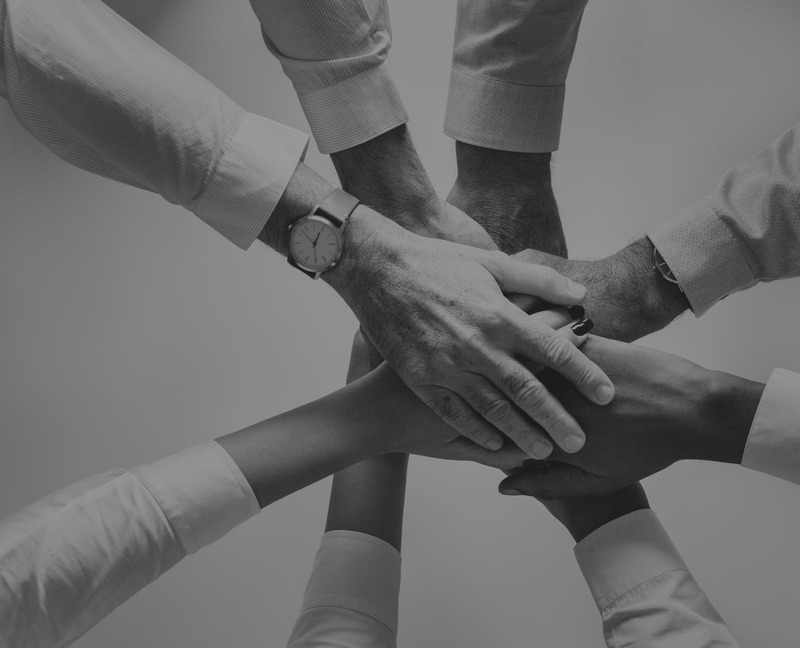 Together with her team, she helps mid to large media companies, their employees, and especially their executive leadership teams to find and mentor dignity, leadership, and personal power in the workplace. When was the last time you took a moment away from routine and shifted your mind’s perspective on your boss, co-workers, life, and purpose? Your personal transformation can and WILL impact those of everyone. So take a deep breath, relax. Switch on your mind light! 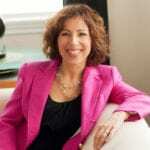 My guest is Esther Weinberg and she is the Founder of Mind Light Group. Esther and her team help mid to large media companies, their employees, and specifically their executive leadership teams to find and mentor dignity, leadership, and personal power in the workplace. Esther is a powerhouse game changer who has successfully transformed organizations, executive leaders, and teams for over twenty years. I have been researching her and said, “This is going to be a powerful interview.” Welcome to Heartrepreneur Radio, Esther. I love the word dignity. I don’t hear very many people talk about that. I’m curious, how did you get into doing what you’re doing and what’s your why behind it? I didn’t mean for it to be as good a timing as it has been, but I will say that bad behavior in the workplace has become really front and center in the headlines. You see it from sexual harassment, that’s the most extreme we would say, bullying behavior, poor communication, the failure to make employees feel valued and validated, and the lack of understanding of leadership. I talk a lot about dignity or creating your own dignity zone in the workplace where you have a workplace where people feel trust, respect, and safety: safety to express your ideas, safety to feel like you’re being heard, you don’t have to look behind her back as to what someone’s doing with you or for you or to you. To have that level of freedom, I would say that dignity is a surprising key ingredient to transforming organizations because I’ve seen twenty plus years that I’ve been looking at working and researching organizations. 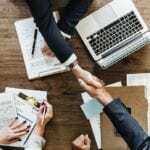 Transforming Organizations: Dignity is a surprising key ingredient to transforming organizations. I love the three words you gave, trust, respect, safety. We definitely resonate with those words. I love the word freedom. It’s just the way it is today. It is sad that this has become such an important topic. It is what it is. It is a very important topic timely in our workplace. When you said dignity is the transformational ingredient, that also resonates. I haven’t heard a lot of people talk about dignity. I’ve done radio shows, terrestrial both on iHeart and iTunes for the last twenty years and I have not heard people actually talk about mentoring dignity. It gives me chills and goosebumps. You can use the word dignity with anything. You can use dignity with anything about outside of the workplace and how we treat each other as people. I look at it from these lens, we spend more time at work. Think of yourself, Terri. You spend more time at work than doing anything else. Even Gallup stated the global workplace report from last year. They said that just 15% of employees are engaged in their job and 85% are functioning below their potential. What’s contributing to that and how do you move through that? Dignity has been lost because you’ve got greater workload, you’ve got difference in generational expectations. The speed in which work is performed and technology are big contributors to all of it. I agree with that. That’s all true. This is something that we absolutely need to look at. Do you have an example of a business that you’ve transformed through dignity? It’s a funny thing the way you were saying that this concept is relatively new. I was meeting with someone and she was having an issue at work. This is once again a little bit more on the extreme of things, so I’ll give you both sides of it. She had brought her team into a room and screamed at them. At the moment, HR had dismissed her and said, “You need a time out for a week or so.” They did an investigation and they found out that it’s not that she has had bullying behavior, but there was a moment where she lost herself a little bit. She and I were sitting and talking. She said in her point of view, she absolutely did not raise her voice or treat people in a way that was undignified. To her, she loves and respects the people who worked for her. I said to her, “I hate to tell you, if your team thinks you screamed at them, you screamed at them,” because perception rules. Lots of times, I’m working with people that do a few things. First of all, the people that are treating others with a lack of dignity, how they’re also treating themselves is with a lack of dignity. There’s a team I’ve been working with, the woman that heads it up, she’s new, she’s probably about six months into a very senior level position. She doesn’t feel that she’s quite gotten her sea legs at her work because of the personalities in the room with her that are highly critical. Actually, when you get to a senior level position, you’ve got a lot of experience, you’ve got a lot of expertise. She walks in the room, she doesn’t feel she’s being respected, and she doesn’t feel like her voice is being heard. She feels like she needs something like a secret tip in order to be able to behave differently. We’ve been working on what does she need in order to have her voice heard more in the room? She was with the president of the whole division who is super critical of a product that her team had just put out. When she was complete with the meeting, she had felt like before her old behavior was, “How do I beat myself up? How do I get my team involved in that conversation? Then how do we go and fix what it is that the president wants?” This time, she left the meeting. She went to her team, just said, “This is what we need to do. Let’s get it done in the next few days.”She’s back to work doing something else. When you used the word dignity, like we’re using now, there’s a range. There’s how do I treat myself because you can’t give what you don’t have. If you can’t keep treating yourself with dignity, how do you expect to treat others? She wasn’t realizing in that moment, because then the next conversation we had was, “I still need some skills and tools and ways to treat my team.”She actually had a moment that was a place where she needed to recognize that she had moved through something in a different way. She didn’t need to stand up and be aggressive in those conversations with all the people in the room. The fact of the matter, she did something differently, but she wasn’t recognizing that, which means that she wasn’t being dignified with herself. She wasn’t getting herself trust, respect, and safety. As a result of that, she was having a calamity when it really wasn’t. It was a victory. Part of this with dignity is how do I treat myself with dignity and then how am I able to empower others to do the same? That resonates with me, Esther. It’s so timely I’m having this conversation with you. I was running a mastermind group, and one of my clients stood up and said, “I just don’t know what to do. My boss is having a real problem with me and thinks I have this bad attitude.” I said, “If he thinks that, and that’s his perception, that’s his truth.” “I don’t see that.” I said, “Okay.” As we talked more, I could actually see truly he was not treating himself with dignity. How could he expect others to treat him the same way? It was fascinating. All we did in the conversation was we went to him. We went to, “How do you treat yourself? How do you see yourself? What are you about? Who are you? How do you stand? What do you look like in the world?” I didn’t say a word about his boss. We didn’t have any conversation about his boss. About an hour into this mastermind, he goes, “It just dawned on me that it is about treating myself in a way that I need to treat myself before I can take a look at how I’m working with my boss.”I was like, “You got it.” I love that. Do you have any one or two quick tips you can give people? Write down all the emotions, because as you know, emotions don’t go away. They’re barometer to what your experience is, but then for them to ask themselves, “What’s the truth here?” Drill it down. Is it accurate or is it just your own personal interpretation? Then what learning are you meant to acquire from the situation? Then what’s your part? How can you take responsibility for whatever it is? If we’re in it, we have some element of participation in it. Then, what action can you take? I find nonetheless, this level of examination I really can’t act. The questions that I’m sharing with you to answer, you can do it on the back of a napkin or type it in your phone, it takes five minutes. It allows you to being more thoughtfully moving through experiences that frankly can be both positive and negative at work. I love what you said in so many ways because it’s the focus on personal responsibility. Being in a relationship, especially if you’re married or even in a partnership or even if you’ve got family that you’re dealing with, you can’t make someone else do something. 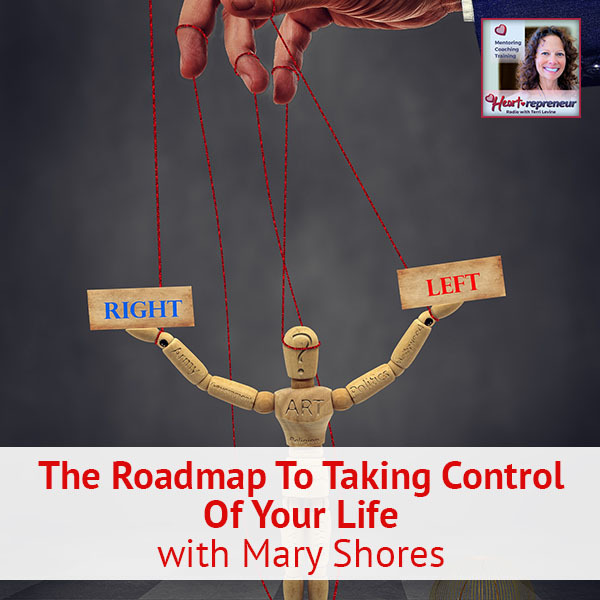 The only person who truly has control of that is yourself. What’s interesting about workplaces today is if you asked everybody, they want an environment where people can trust each other and feel safe. What happens is when you eliminate that conduct like we were talking about, from soup to nuts, from bullying behavior to taking credit for someone’s ideas, to not inviting them to a meeting they should be invited to. If you eliminate that conduct, it’s not enough positive. You’re not going to automatically replaced poor behavior without some fundamental change that’s the guiding principles of the organization. Frankly, it first of all starts with the guiding principles that you choose to lead with. If you don’t seize the moment to direct the conversation and behavior towards creating this dignified workplace or your own personal dignity or your dignity zone, like I like to call it, workplaces are going to revert back to what people knew and to your own bad behavior. It’s just normal human tendencies. Transforming Organizations: You’re not going to automatically replaced poor behavior without some fundamental change. I love the words dignity zone, that resonated too. 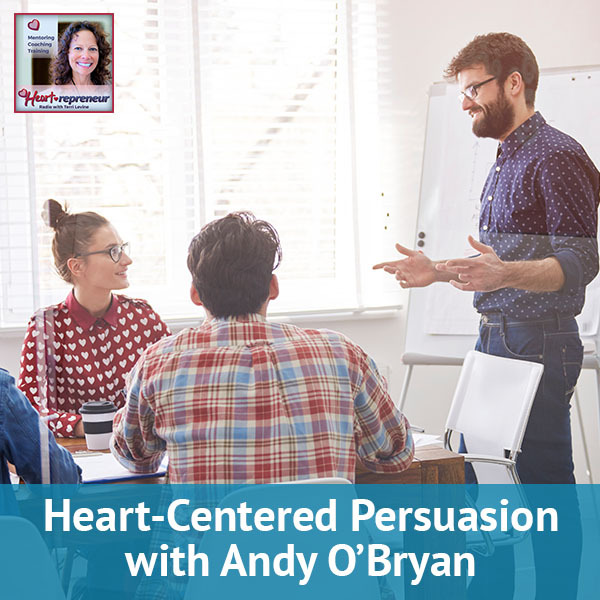 There’s so much that people can learn and if you’re definitely so in line with the whole concept of heartrepreneurs and doing business more consciously and more with heart. How can people get in touch with you and find out more about you and Mind Light Group? You just go to my website. It’s MindLightGroup.com. The name of the company is based on the concept that when you start to create this dignity or dignities for yourself and for others, there’s something that shifts. There’s a perspective shift that happens in your mind, which is the light that goes off, and the impact that you can have is the group of all of us around you. I highly recommend that. If you’re listening to the show, there’s a reason. You would want to connect with Esther. Go over to MindLightGroup.com and think about creating a dignity zone within yourself and within your interactions with others because this is very empowering and world changing. Esther, thank you so much for joining meat Heartrepreneur Radio. Thanks so much for your wisdom too and for doing the show. Everyone’s benefiting as a result. Thank you so much. For the listeners, if you subscribe, you won’t miss a show because you could have missed Esther Weinberg and she gave us a ton of value. 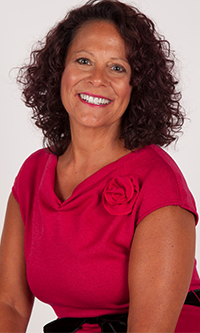 If you haven’t joined the Facebook group Heartrepreneurs with Terri Levine, join the group. There’s a lot of training going on in there, there’s lots of freebies, places where you can connect with people like Esther, and we’d actually love to have you if you’re a heartrepreneur. Thanks again. We’ll see you here next time at Heartrepreneur Radio. 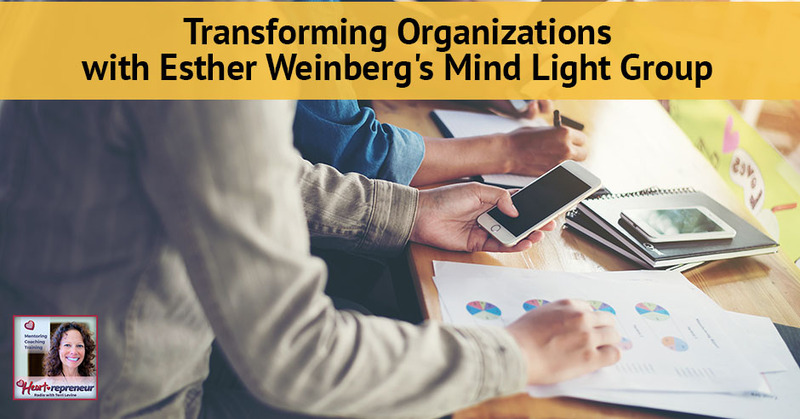 Esther Weinberg is a leader in Redefining Organizational Culture: Power and Leadership through Dignity. 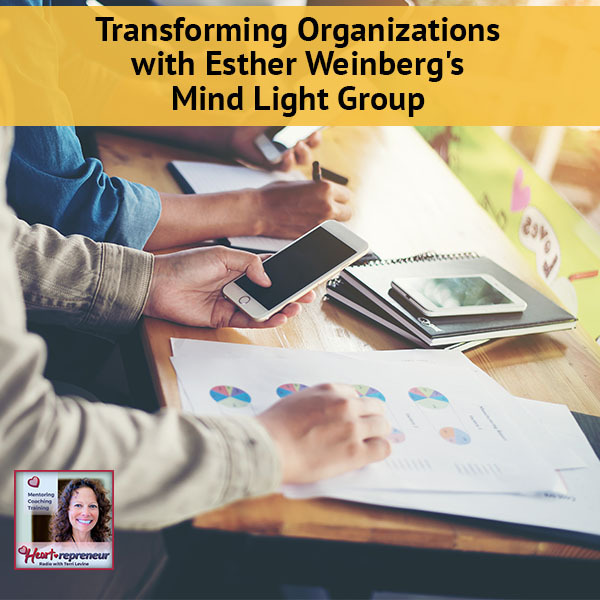 Esther Weinberg is the founder of MindLight Group, she and her team help mid to large media companies, their employees and specifically their executive LEADERSHIP TEAM to find, implement and mentor dignity, leadership and personal power in the workplace. Esther is a powerhouse game changer who has successfully transformed organizations, executive leaders and teams for over 20 years, specifically in large media companies. From Disney Executive to Organizational Leadership Development. 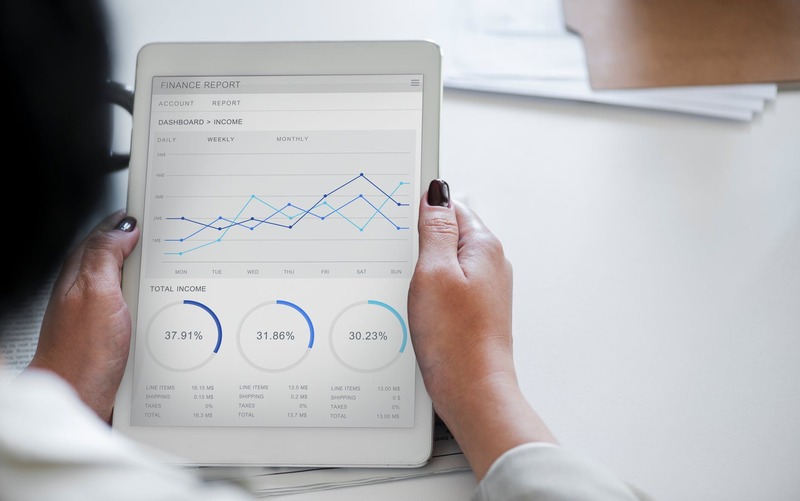 Esther has a unique training and mentorship ability, she has tapped into the pulse of the current challenges that TODAY’s Media, Publishing and Tech Companies are facing Internally. Her personal mission is to bring Dignity and Mentorship back into the workforce worldwide. Interested in getting in touch? Contact Esther at info@mindlightgroup.com or (323) 424-3474.